of being bored out of my mind. 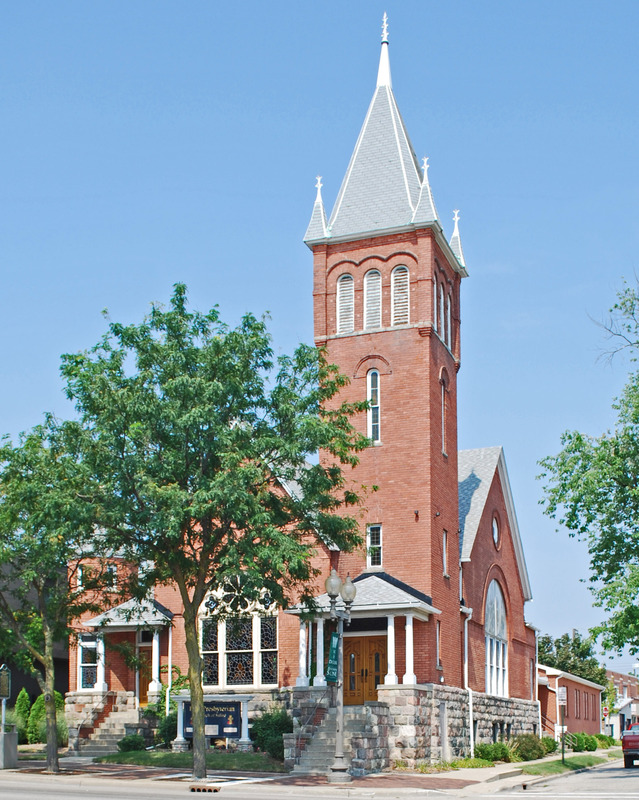 This is Saline Presbyterian Church, in Michigan. I would have been around 9. My brother was 7. Up front, the preacher (our dad) was preaching, and we were trying to make it through another hour of worship. Tic Tac Toe. Hangman. That dots and boxes games. We’d count the number of ceiling tiles. We’d try to make the other one laugh, and then look scornfully if they did. We’d doodle, and fidget, poke each other, and stare at the clock that seemed to tick so slowly, and sometimes, when all other options were extinguished, we’d actually listen. My dad was a great preacher. When I was a little older, my mom became ordained. She was a great preacher, too. Still, I’ll be honest. There were plenty of Sundays when I would have rather been any place other than some old stuffy sanctuary. But something about that weekly discipline, that time spent in “Holy Space” listening to words of wisdom, began to affect me. Theological concepts began to make sense. Stories from the Bible became more intriguing. And I was actually able to see the connection between what we did in here, in the Sanctuary, and what the Church is called to do out there, in the world. 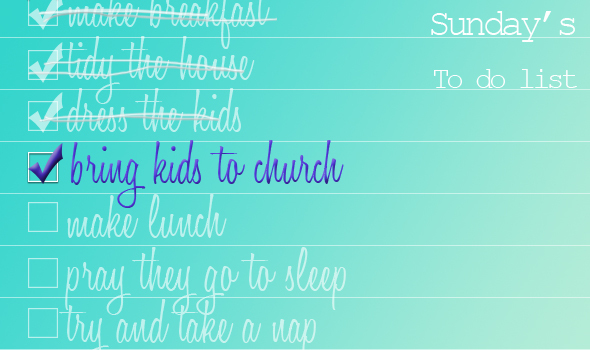 Today, when I see kids in church, there with their families, I feel so happy to see them. I wouldn’t begrudge them some doodling or tic tac toe throughout the service, either. But when I preach, part of me is preaching for them. I want to make them smile, or laugh, or perk up. Or even learn something. I want them to catch a glimpse. A glimpse of Jesus there in the room with us. but I do believe it has a cumulative affect. So parents, keep ’em coming. Both for their sake, and for mine. 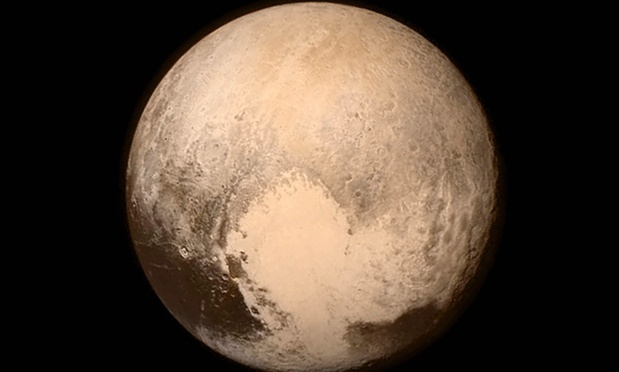 This week, for the first time, a spaceship flew past Pluto, a DWARF planet. 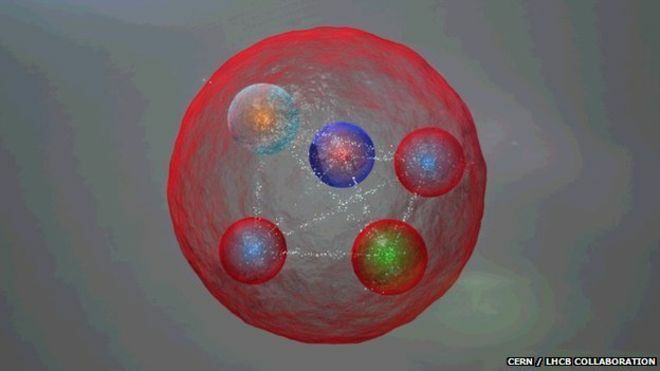 And…The Large Hadron Collider discovered a new particle, the Pentaquark. Two large discoveries, of “small” things, of dramatically different size. On the one hand, Pluto is smaller than our moon, a fact which somehow makes me respect our moon more. Well, honestly, it’s so small it may not even have any size at all. Or maybe its size is determined by its momentum? 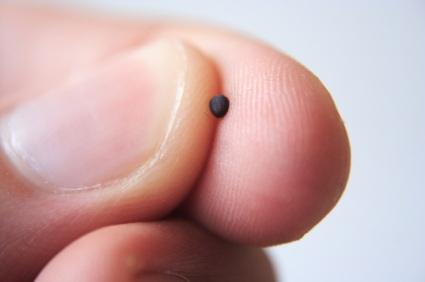 Can we just say it’s so small that if you want to know how small you need a degree in particle physics? I suppose this can be a reminder that words like “small” are relative. Think about this: The size of things can only be measured by the size of other things. He has given us something to compare our faith to. You will note that it is much smaller than Pluto, but it’s much larger than a Pentaquark. To have faith at this level is possible, but a challenge. Thankfully, there are no spacecrafts or particle colliders required.